If you work in the education system, it’s an unfortunate aspect of the job that the communications infrastructure can have the potential (as in many industries) to let you, parents, and children down; someone will always show up on an inset day; a few parents always miss parent-teacher night; there will always be a few empty seats at the school play… but what if there was a more effective way to communicate with parents and teachers? Emails are too easily ignored; letters are too unreliable and slow to arrive. Textlocal’s UK SMS and international messaging services offer the answer! With delivery in 5 seconds and an open rate of over 98%, text messaging is the quickest and most cost-effective way to pass information on to students, parents and staff. 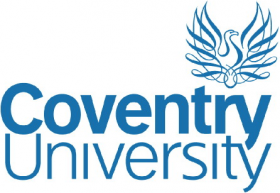 Hundreds of schools, colleges and universities around the country are already using our comprehensive range of services us to push out newsletters, closure alerts and deadline reminders. But these examples are just the tip of the iceberg, read on to see what your school could achieve with SMS. Integrate Textlocal’s Messenger with your school’s database to send automatic alerts and reminders for unauthorised absences, trips, cancellations, etc. 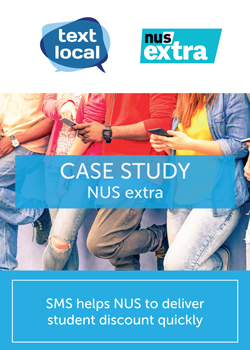 Download a case study from the National Union of Students (NUS). SMS ensures all students are receiving the right support and encouragement to succeed.